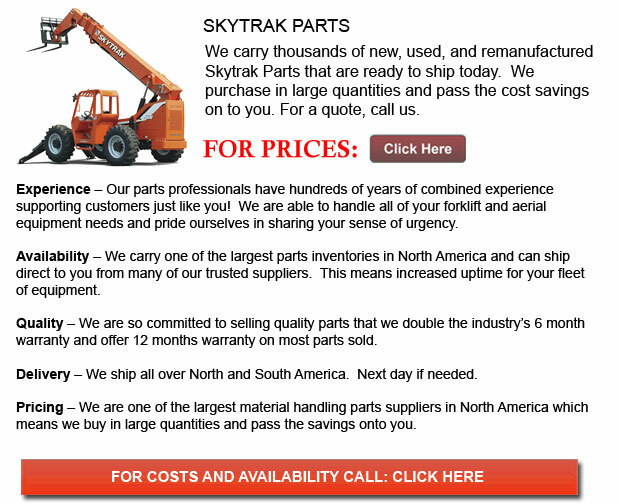 Skytrack Parts - SkyTrak comes from a top-selling telehandler that is amongst the most popular in the business, offering a durable and operator friendly solution. There are 3 steering modes outfitted on every model and also comes along with a Cummins engine. SkyTrak telehandlers are able to deliver the power and the maneuverability needed so as to handle crowded and extreme terrain job locations. A greater level of operator confidence and improved stability is also supplied by the patented Stabil-Trak system. Each SkyTrak model has the capability to be equipped together with many attachments to be able to help keep productivity high and maintain effectiveness.